Mario and Luigi embark on the adventure of their dreams in a hilarious action RPG that combines the real world with the wild landscapes of Luigi's imagination. In Luigi's dreams, anything is possible—legions of Luigis morph into forms like a bouncy tower or a wrecking ball. You can even poke a sleeping Luigi to alter events in his dream world. 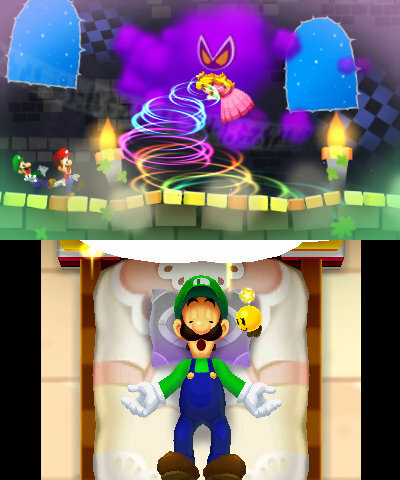 While on vacation on Pi'illo Island, the bros. discover that Luigi's sleeping mind can open portals to the dream world. 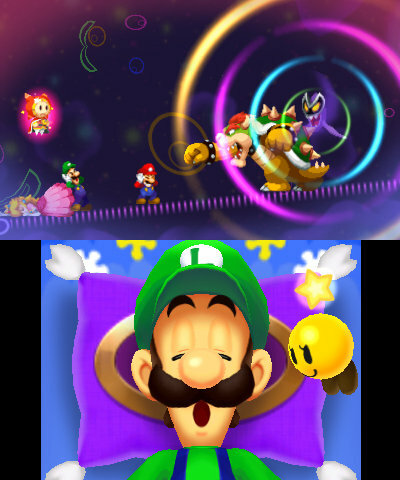 In the real world, control both bros. at once, but in the dream world Mario partners with Dreamy Luigi and hundreds of Luiginoids. In battle, timing is key to pulling off the best moves to attack or defend. Mario & Luigi can team up for supercharged Bros. Attacks. In the dream world, Mario can use Luiginary Attacks to assemble a hoard of Luigis into attack formations. Adventure with Mario & Luigi to not only rescue Peach, but to help Prince Dreambert free fellow Pi'illo folk from the bat-king Antasama's petrifying spell. Find new items and gear to customize Mario & Luigi to fit your play style.